“He was a cultured Christian gentlemen, a poet, a great pulpiteer, a wise counselor and a sympathetic friend. His forceful missionary sermons kindled a fire in the hearts of his hearers and changed viewpoints about worldwide evangelization.” So stated the late Dr. R. R. Brown, Alliance pastor for many years in Omaha, Nebraska, speaking of Albert B. Simpson. While Simpson was still in Louisville he came to realize that “a new all-out effort was needed, a wider dissemination of missionary information, a magazine…to promote the work of missions. He would launch a new kind of publication, one devoted wholly to the cause of world missions…Why not get into step with the modern trend toward pictures and illustrations? It would be different. He would illustrate his new magazine with the newest type of woodcuts and maybe, later, engravings made from actual photographs taken on the trail. 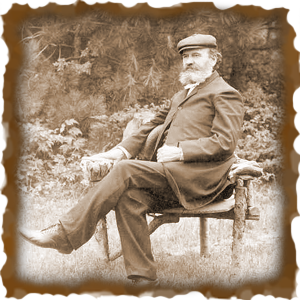 Just a few years later (1880) he launched ‘the first illustrated missionary magazine on the American continent’, and, with one exception, the first in the world.” It was The Gospel in All Lands, forerunner of what is now the Alliance Life magazine. Without any spirit of contention, but after a week of intensive prayer in his study, Simpson completely withdrew from his denomination in order to follow God’s calling on his life. He lost no time in getting started upon his new project. Through the newspapers, he announced a Sunday afternoon meeting to be held in a cheap place on Eighth Avenue known as Caledonian Hall, where he would deliver an address on the spiritual needs of the city. Dr. Simpson always kept his eye on the homeland. In fact, “there was no ‘at home and abroad’ in his concept of missions. When he lifted up his eyes on the fields, they were everywhere white unto the harvest. To him the multitudes of New York and our great American continent were as sheep without a shepherd, just as were the vaster multitudes in the deeper darkness of heathen lands.” And he usually had a new project brewing-a school, an orphanage or another mission. The pioneering spirit of Dr. Simpson was firmly evidenced by the recognition on his part that missionaries need a high level of education and training for their work. Zeal and good intentions are not enough. In a day when an eighth-grade education was highly acceptable and high school was for the privileged few, the New York Training College was established in 1883 for training missionaries and home workers. It was later moved to Nyack, New York, and was the first Bible college in North America. A.B. Simpson wanted everyone to know the complete sufficiency of Jesus Christ for every human need. Jesus is our Savior, Sanctifier, Healer, and Coming King. Many people look for the wonderful gifts and blessings that God provides, but Simpson reminded us that Jesus Himself is God’s greatest gift to us. Simpson’s ultimate goal was to point people to Jesus. A more full account of how God worked through A.B. Simpson is available in biographies about him such as: Wingspread, by A.W. Tozer; and A.B. Simpson: His Life and Work, by A.E. Thompson.